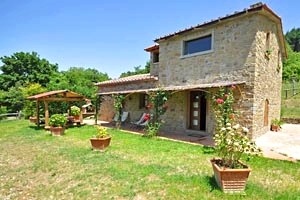 The villa is set on the hills of Valdichiana, a region in eastern Tuscany that stretches in the provinces of Arezzo and Siena. 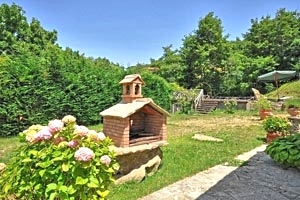 Valdichiana is a territory rich in folkloric events, the most important being the Giostra del Saracino, that takes place in Arezzo; another beloved event is the Carnival of Foiano della Chiana. 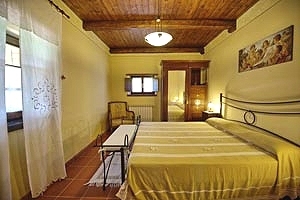 On the third Sunday of June, Castiglion Fiorentino hosts the Palio dei Rioni. 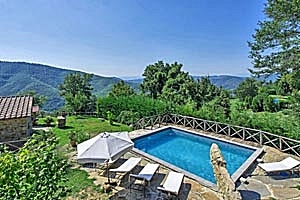 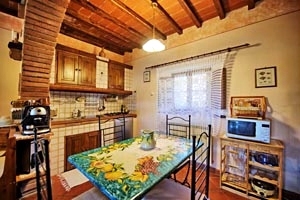 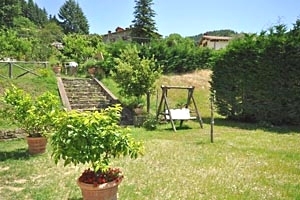 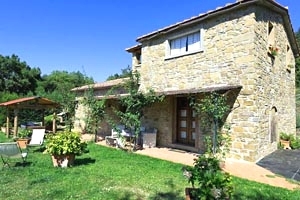 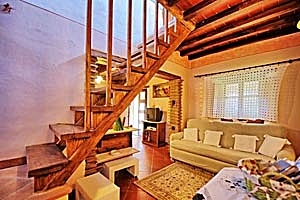 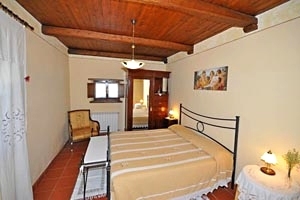 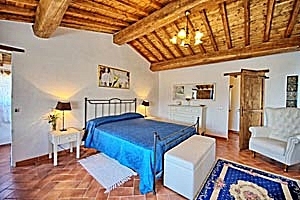 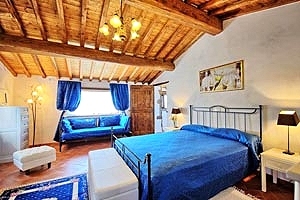 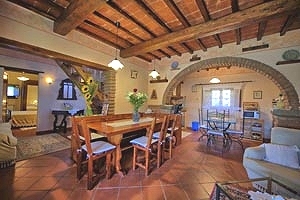 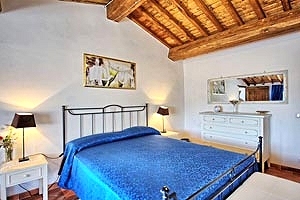 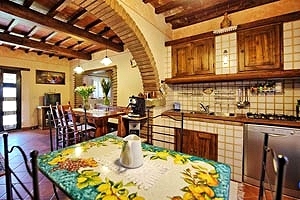 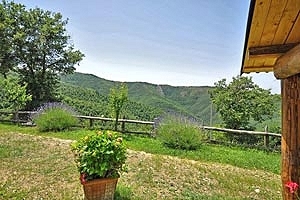 Situated in scenery location on the hills around Cortona, the villa affords wonderful views of the surrounding woodland. 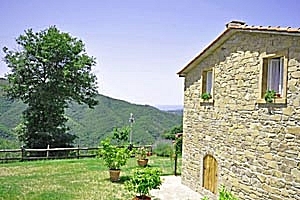 Cortona, Sansepolcro, Arezzo, Siena, Anghiari, Caprese Michelangelo and many other cities of art of Tuscany and central Italy are easily reached by car. 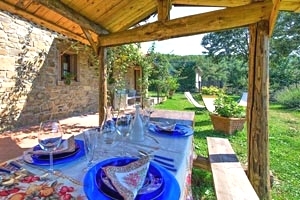 The beautiful building is surrounded by a garden equipped for having meals al fresco. 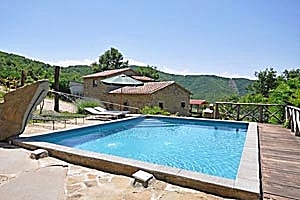 In the garden are also the private swimming pool (6x8 m; depth: 1.50 m) and the barbecue equipment. 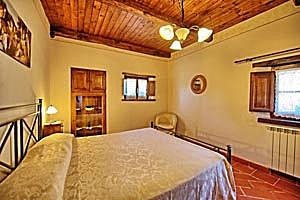 The villa is a two-storey building furnished in rustic style that can accommodate 7 guests in 1 triple bedroom and 2 double bedrooms, and has 2 bathrooms. 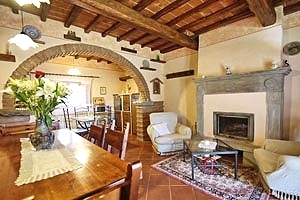 On the ground floor are a living room with fireplace, kitchen corner and dining area, two double bedrooms and a bathroom with shower. 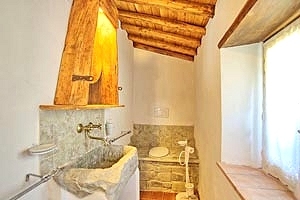 The first floor composes of a triple bedroom and a bathroom with shower (without bidet). 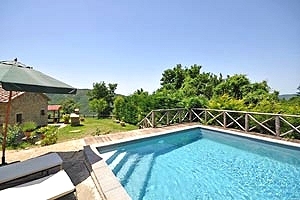 The villa comes with swimming pool, barbecue, fireplace, Internet connection, satellite TV, oven, freezer, microwave oven, American-style coffee maker, dishwasher, washing machine, iron and ironing board, cot bed and private car parking area. 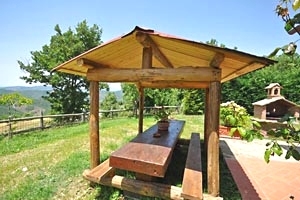 Some food shops are 4 kilometres from the property. 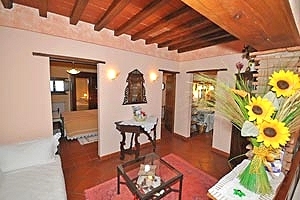 Other shops and services of any kind are 13 from the villa.